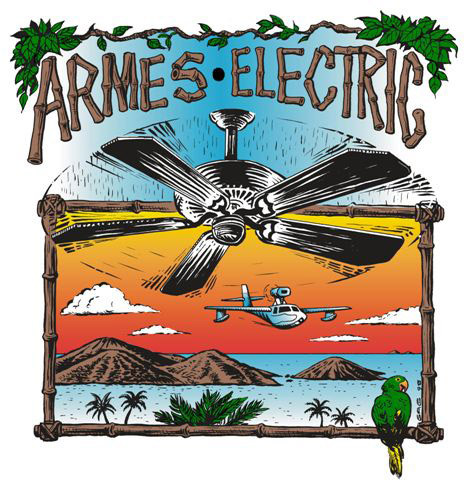 Pete Armes and his wife, Heather, started Armes Electric in 1991 after the electrical contracting company he had been working for decided to close operations. With a family on the way, Pete was determined to continue as an electrician. He worked on his own for a few years, and then added an assistant, who happened to be the son of a great customer. 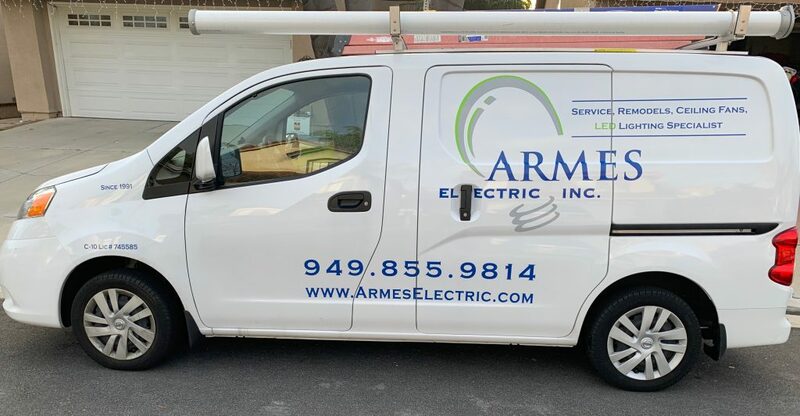 We watched the company grow and customers waited weeks for an appointment with the most popular electrician in Orange County. We sent our assistant to school, and he started driving a truck with an assistant of his own and so the story goes. We now have 9 trucks servicing all of Orange County, Northern San Diego County, parts of Riverside and Southern Los Angeles Counties. We are strictly residential electricians. This means we know how to take care of your home in every way. 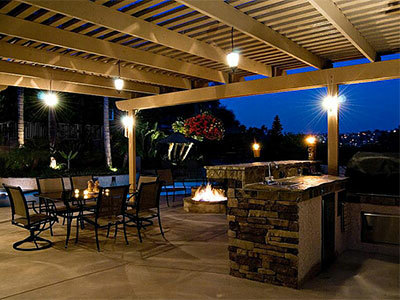 We specialize in accent lighting, ceiling fans, kitchen remodels, can lighting, attic fans, and much more. Our company cleans up like no other contractor you’ve seen. We vacuum up any mess with our own vacuum! All our employees are cordial and trustworthy. We are a family company and we consider our customers to be our extended family. Your satisfaction with our service is our utmost priority. Our customers generally come to us through word of mouth and our phone rings constantly. Thank you for recommending us through the years and trusting us with your home.